Hurricane Sandy: proof the US needs a smarter grid? As nor'easter Athena brews in the wake of Hurricane Sandy, re-elected President Barack Obama is under pressure to upgrade the electric grid to prevent another wave of power outages. But how can smart grid solutions prevent blackouts, and what will it take for utilities to invest in these technologies? Smart solutions can pinpoint outages and allow electricity providers to dispatch crews and restore services more quickly. Image courtesy of FreeDigitalPhotos.net. Barack Obama is under pressure from energy experts to encourage utilities to invest in smart grid solutions. Photo courtesy of Pete Souza, The Obama-Biden Transition Project. Hurricane Sandy left more than seven million people without power. The future of smart grids is highly dependent on government policy and subsidy. Image courtesy of FreeDigitalPhotos.net. The US Government needed proof that electric grid needs to be stronger and more intelligent. And that proof, unfortunately for America, has arrived in the form of Hurricane Sandy. "Ageing infrastructure is not equipped to handle these types of disasters and it desperately needs upgrading." The future of smart grids is highly dependent on government policy and subsidy, but a lack of incentives has so far held back the mass roll out of crucial technologies needed to upgrade ageing energy infrastructure in the country. Now re-elected into a second term, President Barack Obama is under pressure from energy experts to encourage utilities to invest in smart grid solutions before it’s too late. Sandy may well have provided the wake up call Obama and his fellow democrats needed, thrashing as it did into ten US states, tearing down power lines and leaving more than million people without power. Most of those customers are now out of the dark, but thousands of new power outages are occurring as nor’easter Athena moves through New Jersey, New York and Connecticut. Ageing infrastructure is not equipped to handle these types of disasters and it desperately needs upgrading to avoid future blackouts. "A lack of incentives has so far held back the mass roll out of crucial technologies needed to upgrade ageing energy infrastructure." At a press conference last week, Andrew Cuomo, Governor of New York – the state worst hit by the storm – said the city needs to "not only rebuild, but rebuild stronger and smarter." One company that has witnessed first hand how smart grid solutions can make a difference during power outages is Pepco, an electric service provider for Washington D.C. and parts of Maryland. In July, the firm was heavily criticised for how it responded to the derecho storm after software glitches affected thousands of calls for service. It was also accused of failing to give customers a better sense of when their power would be restored. This time around, however, the utility was ready for action. Pepco used two-way metres to automatically locate where power outages on its network occurred. One power was restored; ping meters were used to verify service. By October 31, two days after Sandy hit, normal service had resumed for the vast majority of customers. 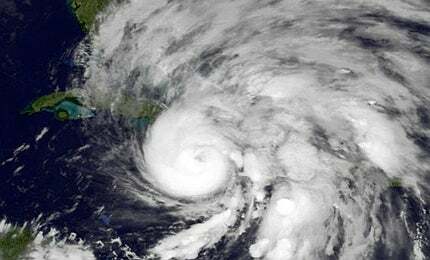 In the wake of Hurricane Sandy, and nor’easter Athena, manufacturers will have the opportunity to encourage utilities to buy into their smart solutions. "Pepco used two-way metres to automatically locate where power outages on its network occurred." These utilities would then know which of their customers are out of power, in the event of a future climatic event, without having to call them. Technology would pinpoint outages and allow electricity providers to dispatch crews and restore services more quickly. What’s more, digital automation would reroute power before an outage even occurs. But without adequate financial incentives to invest in these solutions, the electrical grid may struggle to progress. Obama said in his victory speech on 6 November that "the task of perfecting our union moves forward", but how can an economy that wholly relies on reliable electricity move forward with an outdated electrical grid? The President must once again act fast and push for change. With either Obama or Romney in charge, energy has two very different futures mapped out. Smart grids: clean energy saviour? Environmental groups and power companies are championing smart grids as the fastest route to a low-carbon future.